A serpent handle invites us to enter the Roberto Cavalli boutique at Via della Spiga 42 in Milan. 450 square metres laid out on two floors with six big windows. 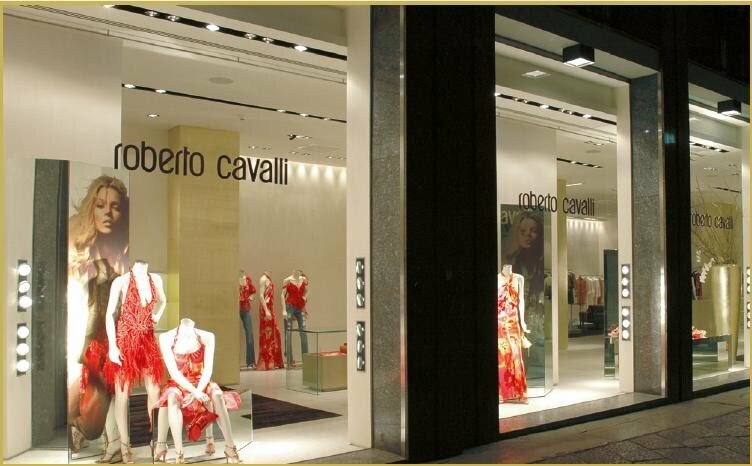 The boutique fully reflects the identity of the brand and the style of it’s imaginative designer. The ground-floor is devoted to the women’s collection and the accessories, whilst the men is showed at the lower level. Always on this floor you can find the VIP room, a small precious jewel box covered in mirrors and sofas in silk velvet.